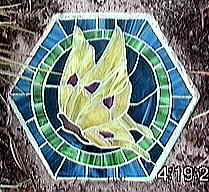 Learn the stained glass art in one day! This class is for the student that does not have much time for the 5 week course, but would like to learn! Materials included. Call to reserve your spot! 942-2929. 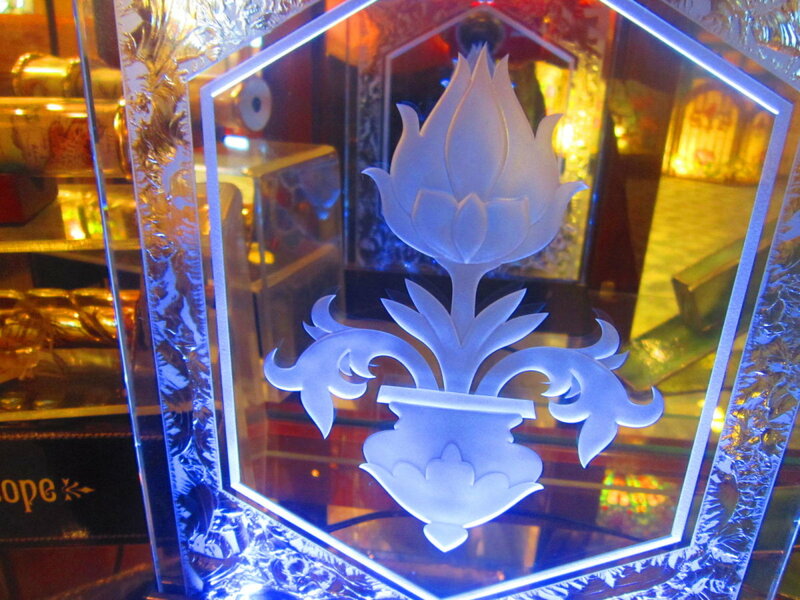 Learn the art of carving on glass! This class will be hands on! This is a great class for the artist who wants to capture detailed illustration in glass. Create a colorful project in this one day, hands-on class! This class will give you insight into an ancient art form and is a great way for artists to use up all that scrap glass! Includes materials. Guaranteed fun! 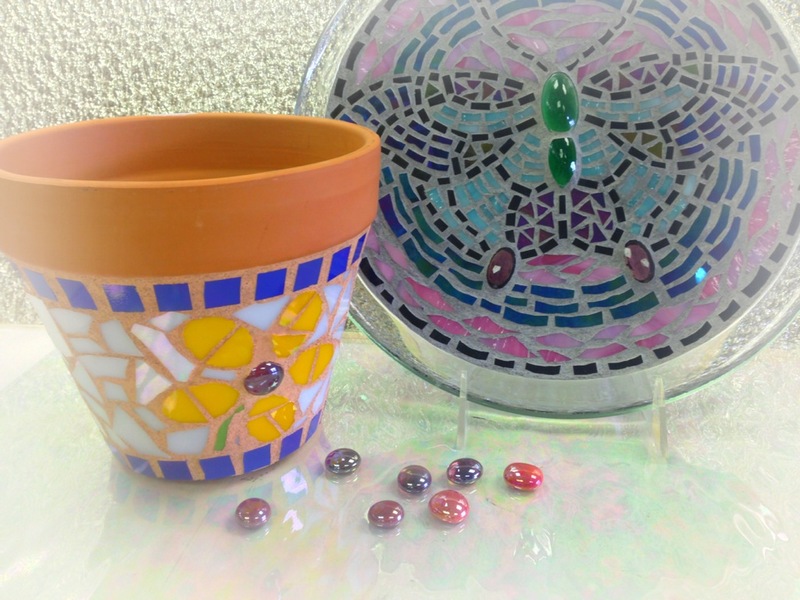 This hands-on class gives you the basics in creating your own stained glass garden art! Go home with a completed colorful project for your yard. 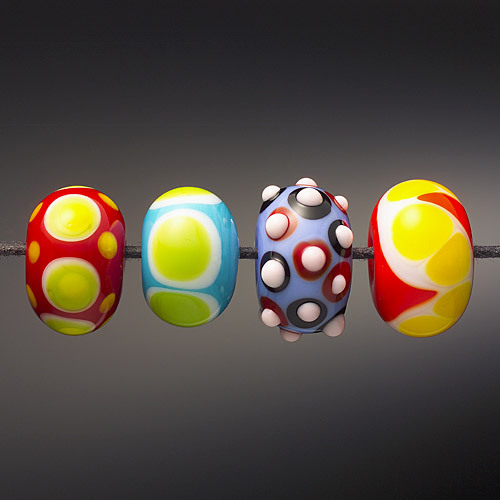 This class will show you the basics of bead making & using a torch to sculpt your art. You will be hooked after the first bead! Includes your own bead making kit! 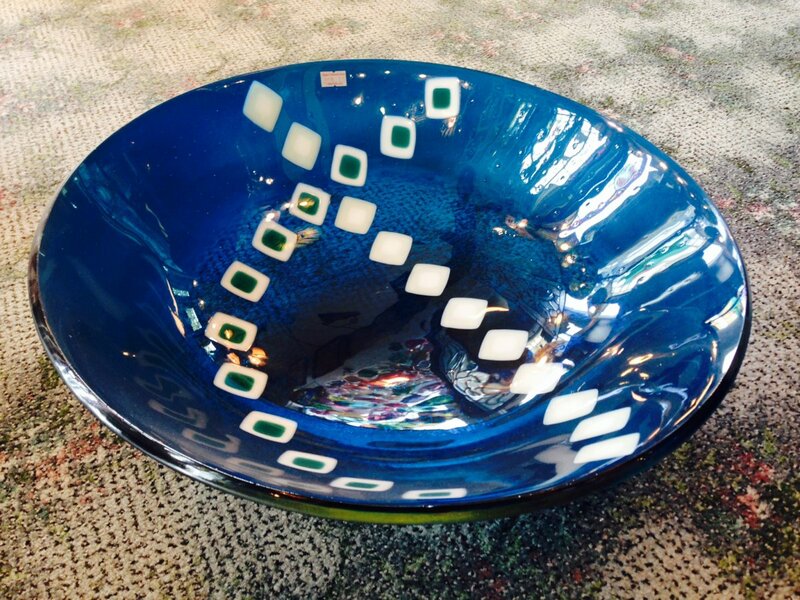 Learn the basics of hot glass and kiln fusing in this one day class! 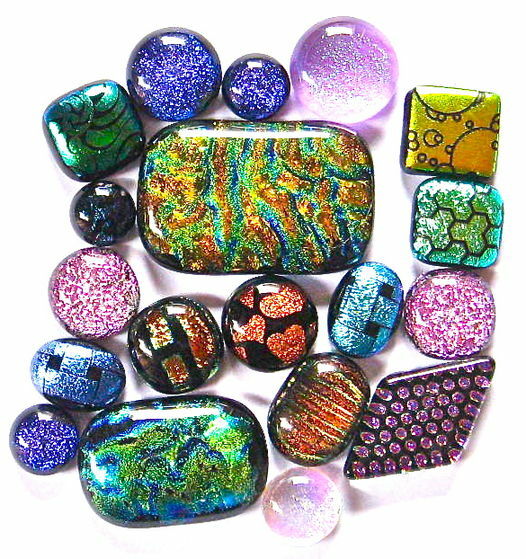 You will create your own cabochon jewelry pieces and glass tiles to take home! This course gives you the groundwork of flat fusing with artistic flare. Materials included. 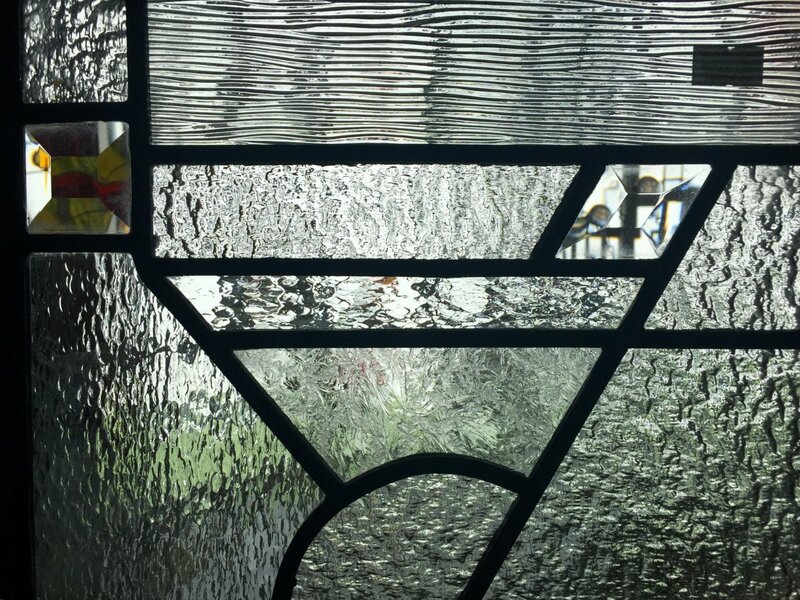 No cutting involved in this beautiful hanging stained glass bevel décor! 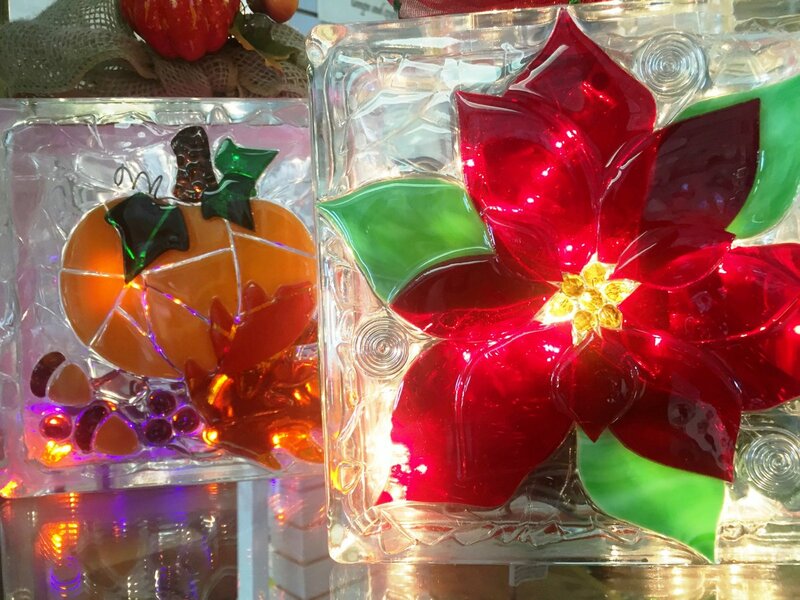 This hands on class will show you how to create a fun stained glass project that makes a fantastic gift! No experience necessary. Includes materials. 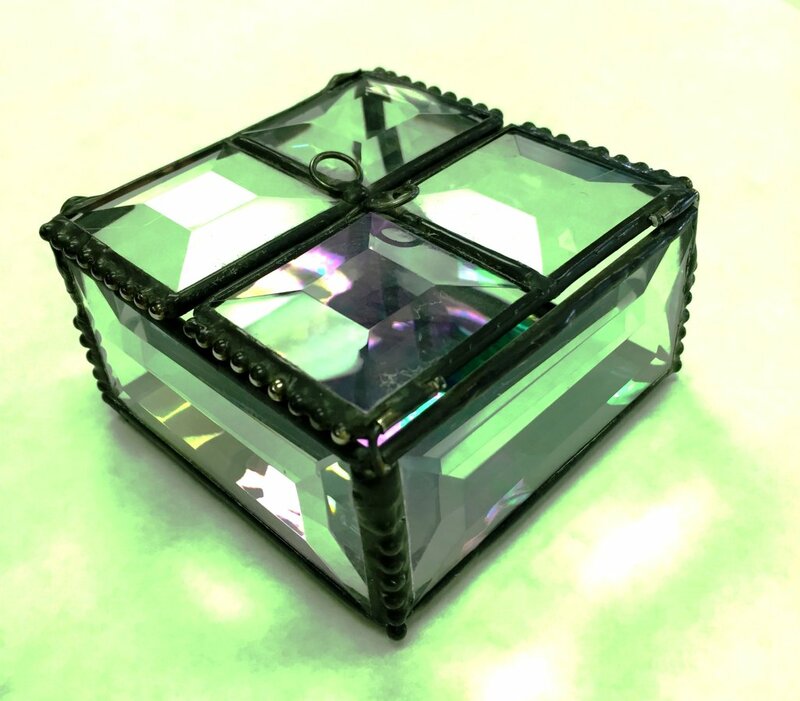 Learn the basics of dimensional glass working in this hands-on class by creating a beautiful beveled hinged box! Take it home that day. Cost of class is Beginner’s experience is required. Materials Included. 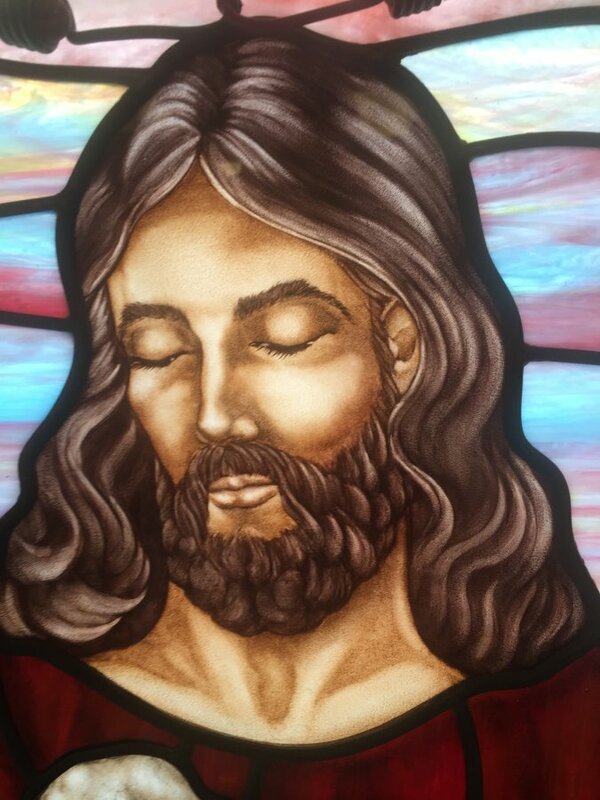 This class will give you the basics of dimensional stained glass building! 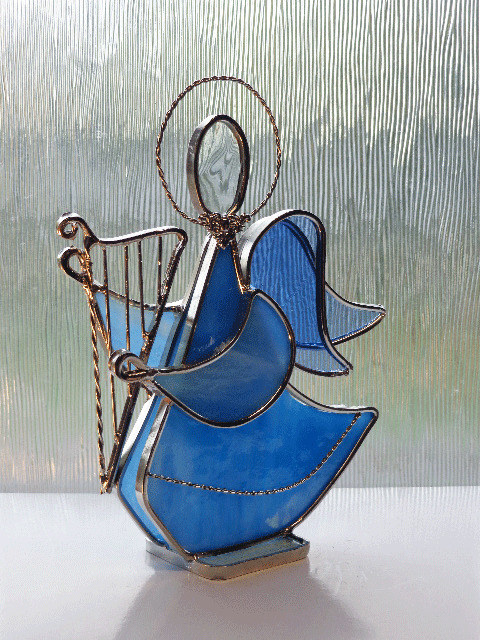 Create a beautiful free-standing angel in one day! A perfect gift idea for the upcoming holidays. Materials included. 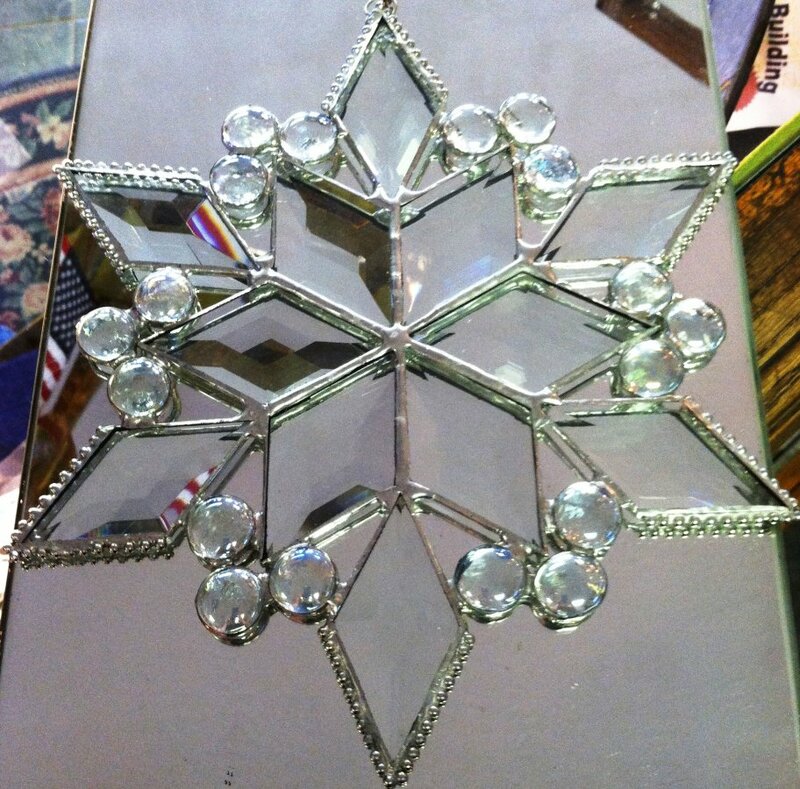 functional gift or centerpiece! Materials included. Beginner’s experience required. Take your copper foil skills to the next level by learning to construct a dimensional Terrarium. Add your favorite indoor plant and make it the centerpiece of the room! Materials included. 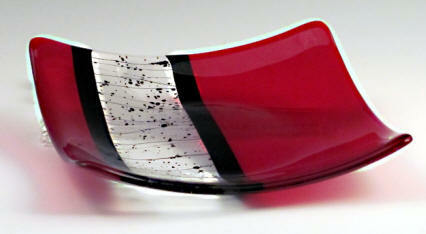 Love fusing, but feel stuck within the boundaries of a kiln and finding compatible glass? Not anymore! 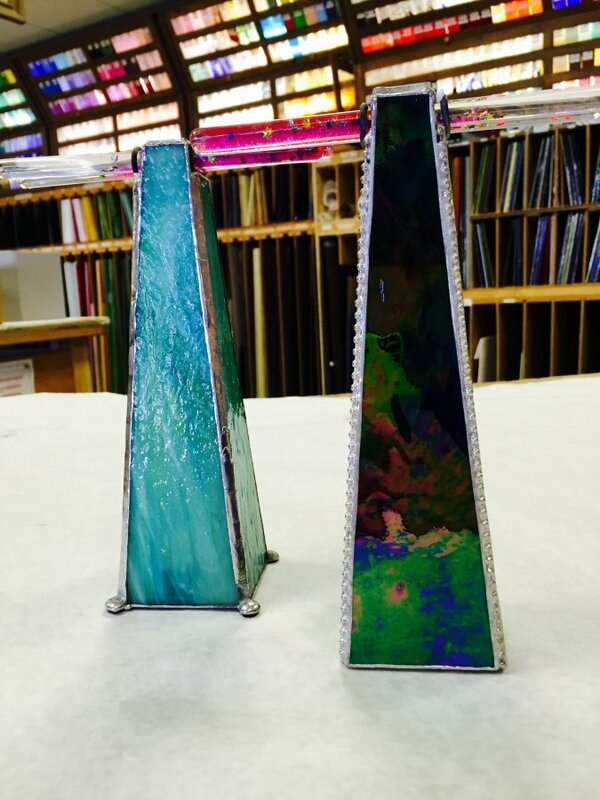 Learn the art of chemical fusing with standard art glass! You’ve got to see it to believe it. Materials are included. 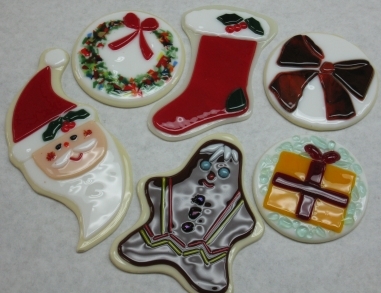 Take this fun holiday class we offer especially for our fusing addicts! Create a	Christmas treat that can be used as an ornament or table décor. You might be tempted to keep all these little cookies for yourself instead of gifting them! Materials included. In this class, you will make a fused project with standard art glass. 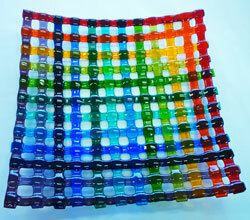 Several techniques will be demonstrated for actual and pseudo glass weaving. Experience is required. Includes materials. Create your very own large vessel sink in this two week course. Make it unique to your décor, and have fun learning the advanced techniques involved to create a masterpiece! Price of class does not include glass. Experience required. Sign up now for this specialty class! Learn how to create a traditional European style art piece using basic painting and shading. Our talented guest artist walks you through the painting techniques and use of the kiln to fire your pieces. Includes a painting kit! talented artist show you the tricks and trade of kiln working in this one day class. Experience is required. Includes materials.